Hindus living with confucians, got problem in singapore. Confuvians living eithmudlims, got problem in malaysia and indonesia. Thai royslty got problem with confucian thaksin. They got the wrong bad guys. Chao angmoh are enemy no 1 of the world. Muslims were just minding their own business and the christian ang mohs sent the jews they didn't want there. Which other group of people in our modern times other than the muslims, evoke such fear? If this group was in the same departure lounge waiting for the same flight as me...i will take another one. It only get worst aft the invasion of Iraq. Thru lies n deceit by warmonger US. Al Queda..IS..all created by US. Wheres Osama body? Wheres th WMD? Million of innocents been killed by US n allies. Before invasion of Iraq u hear of IS? So muslims r not murderers/terrorists like wat the west protrayed. If indeed Muslims were murderers then there would be neverending war after Prophet passed away.. Tier 1 equivalents : Militant white supremacists? Militant Zionists? Any group of people who hold a common belief that they and their beliefs alone are the "chosen" or "the right people" to decide for everyone else what is right and wrong. Dissent and disagreement are not to be tolerated and are to be met with force until either compliance is assured or the opposing view/interest is totally eliminated. Just to ask are those Indonesian minahs working without tudong in Indonesia muslims? I agree that the majority of muslims are moderates, thankfully so. But it is worrying that extreme doctrines are still be allowed to flourish. And believers of extreme doctrines even see moderate muslims as unbelievers. Islamic terrorism started way back in the 1960s and have escalated in recent times. The US and other western allies have killed many in the war on terror. But this is in retaliation and in a quest to eradicate islamic terrorism. Tier 1 has a global reach but limited membership and only seem to appeal to fringe whites. Tier 2 are countries, so we know who they are and where to hit them. Tier 3's motivation are confined to power and money. Islamic terror groups are like in a tier of it's own, perhaps sphere would be a better description since they have enveloped the world. The mass majority of terror organisations seem to be Islamic, they seem to be growing and it's worrying. Yes from what these mudslimes has done,,,it is absolutely rational to be weary of them. 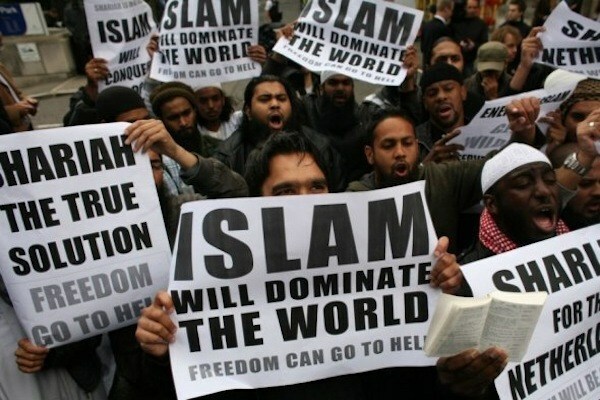 These moslems look very peaceful. Why be afraid of them? Aboriginese were hunted like animals by whites. In this particular case, its black v black, so doesnot affect whites.